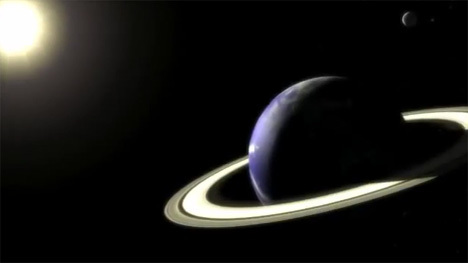 Shoulda Put a Ring On it: What if Earth Were Like Saturn? We speculate on all kinds of things: the future of our planet, the possibility of life on other worlds, even how long it will take humans to reach other planets. How often do we think about how different life would be if Earth had formed differently? This intriguing video explores what Earth’s sky would look like if our home planet had huge rings just like Saturn. While the images are stunning on their own, it is interesting to think of just how differently entire societies would have evolved with these celestial rings in place around the planet. Would our religions and myths be drastically different? Would we have developed navigational technology sooner? Art, science and philosophy would definitely be extremely changed. But for now and forever, these questions are destined to be the stuff of speculation. See more in Science Fiction or under Science. April, 2011.